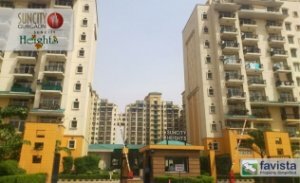 Suncity Heights (3 BHK) of size 2300 Sq.Ft. is available for Rent. The flat is conveniently located in Golf Course Road Gurgaon. It is Semifurnished and has 3 bedrooms,3 bathrooms The property is ready to move. Age of Property: 5-10 Years. The asking price is Rs 45 K + maintaince. We deal in all Residential & Commercial Properties across Delhi NCR. You might also be interested in - Maple Heights, Raheja Atlantis, Indiabulls Enigma, Indiabulls Centrum Park, Palm Gardens, Sahara Grace, Vipul Gardens, Tata Raisina Residency, South City, Sushant Estate, DLF Ridgewood, Godrej Frontier and other properties matching your needs. Get in touch for the best deals and advice from our team today.